We will hold a special event at our Milan studio during the Salone del Mobile week. 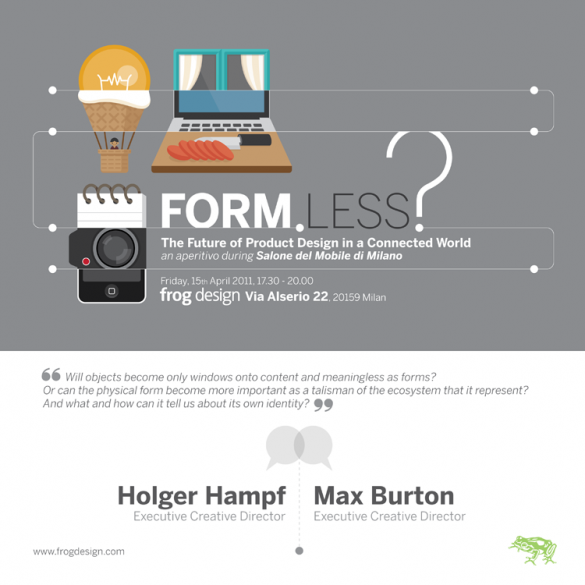 Holger Hampf and Max Burton, both Executive Creative Directors at frog design, will give a speach on the future of product design in a connected world. If you have some spare time, want to meet illuminated people and enjoy great food then join us on Friday April 15th.